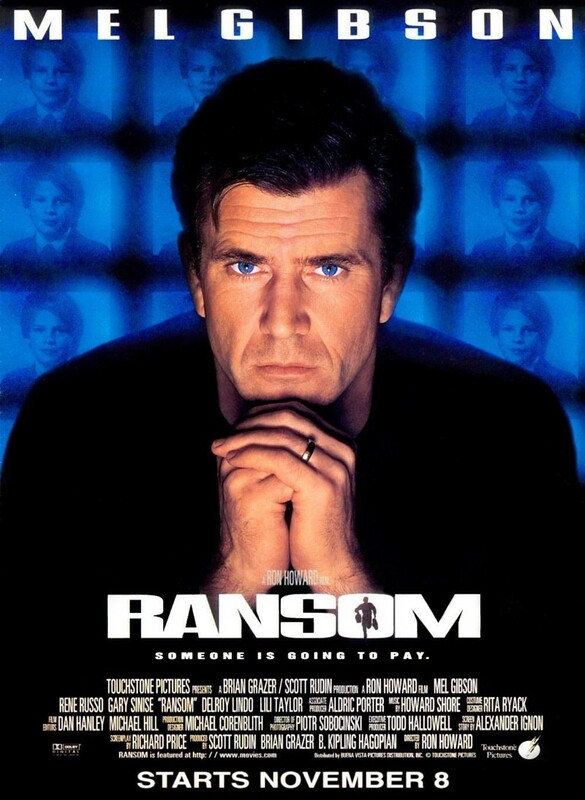 Ransom is a 1996 thriller staring Mel Gibson. While attending a science fair Sean, the son of muli-millionaire Tom Mullen (Mel Gibson), is kidnapped. After approaching the FBI with the information, viewers become aware of the fact that the lead detective, James Shaker, is the one behind the whole thing. After a failed attempt at exchanging the requested $2 million dollar ransom for his son, Mullen goes public with the offer of a $2 million dollar bounty for anyone that kills the retrieves his son. He, later, doubles this offer. Shaker betrays his team and returns Sean to his parents to retrieve the bounty. Mullen recognizes his voices as the kidnapper and, after a scuffle, successfully kills him.